Are you sick of knitting swatch after swatch and not getting gauge? Or worse, you knit without a swatch and make yourself a sasquatch sock? 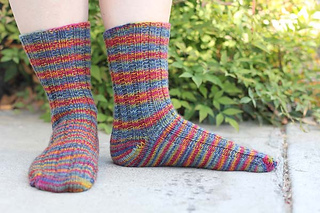 With the Any Gauge Ribbed Socks pattern you only need to knit one swatch. The pattern is built around your gauge. 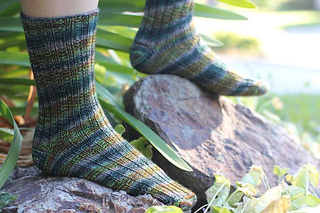 Now you can knit a sock that fits using any yarn. 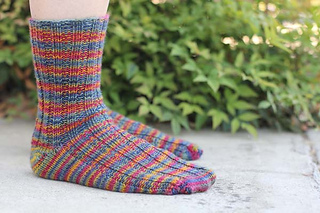 The first two image shows the socks in Madelinetosh Sock in the Plaid Blanket colorway. 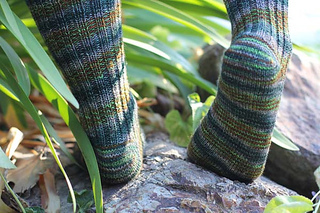 The second two image shows the socks in Socks That Rock Mediumweight in the Farmhouse colorway. These socks are knit toe up. The instructions feature a short row toe and heel. Any toe or heel method can be used in place of the short row method.